We are a leading organization to offer an optimum quality range of Lightweight CLC Blocks. The provided blocks are manufactured using modern techniques and best grade components. This block is checked at various quality parameters by our experts before the final dispatch. Offered machine is extensively used to make blocks. Size (Inches): 24 In. X 8 In. X 4 In. A high strength hardener for CLC Blocks. We are known as leading manufacturer and supplier of a wide array of CLC blocks. These CLC blocks find wide applications in construction industries. Our CLC blocks are eco-friendly and reliable. 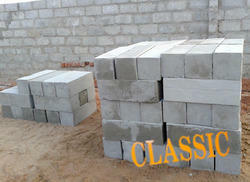 Apart from this, these CLC blocks can be availed at affordable rates. AllTec Industries Manufactures and Supplies Cellular Lightweight Concrete (CLC) Machinery, Foam Generator, Foam Concrete Machinery, CLC Mixers, Wire Cutting Machine, Control , Concrete Modules, Foaming Agent & Mould Boxes, Conveyors. Rectangular Light Weight Block, Size (Inches): 9 In. X 4 In. X 3 In. We are offering a wide assortment of AAC White Block. 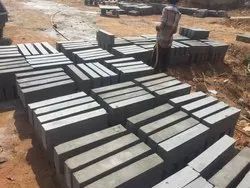 CLC Blocks are a cement-bonded material made by blending slurry of cement. Stable, pre-formed foam manufactured on site is injected into this slurry to form foam concrete. Fresh foam concrete looks like a milk-shake and the volume of slurry in the foam dictates the cast density of the foam concrete.